You don't have to be a musicians to have an appreciation for music and the instruments that make it. 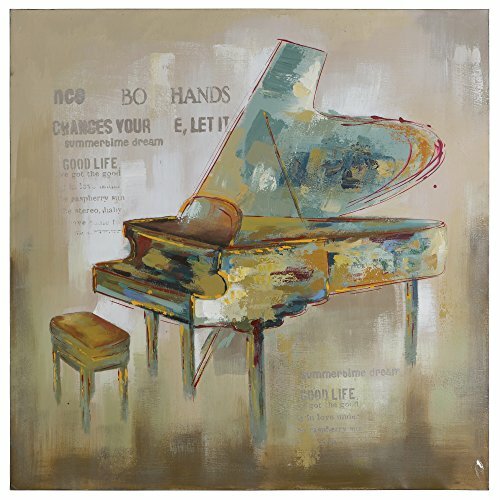 This painting features a Grand piano with spots of color in shades of tan, green, blue, mustard, and red. The background is varying shades of beige with stamped writing.